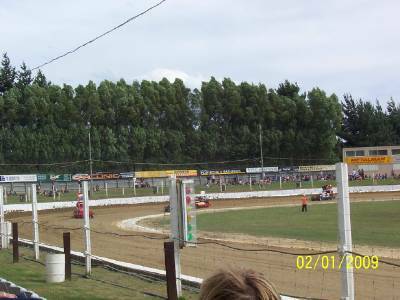 Location - The track is located north of Christchurch in the settlement of Kaiapoi. 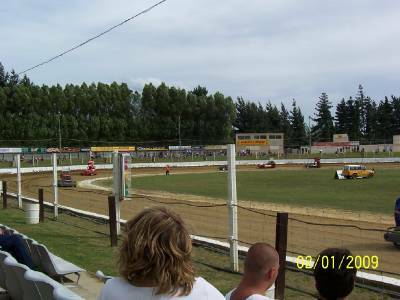 The track is located conveniently close to the main road north. For exact instructions see the Woodford Glen website. 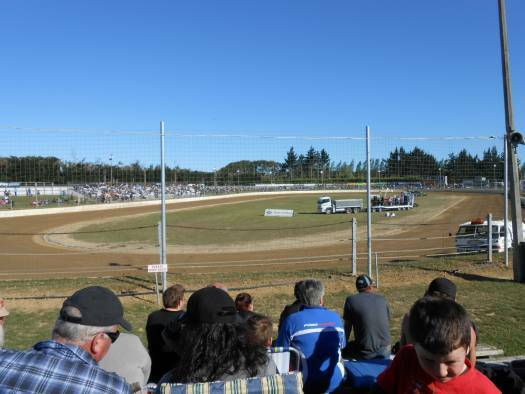 Parking - Parking is located beside the track in a large paddock. When Percy visited parking was directed. It's just a short walk from parking to the main entrance. There was no charge for parking. Premiere Meeting - Battle of the Stocks, or as it should be called Battle of the Superstocks is a meeting with a big reputation. 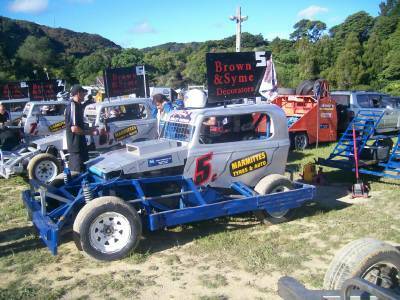 The format see's North Island Superstock drivers paired up with a South Island driver to battle as a duo over six races. 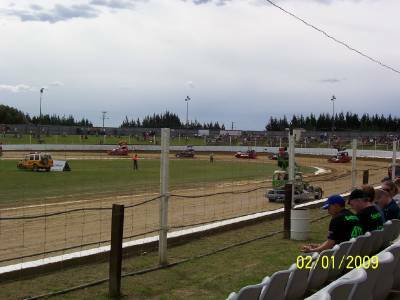 Often the meeting features a large number of Superstocks on the track at any one time. Also worth attending - If there is a Hoopla on the schedule it's probably worth a look. 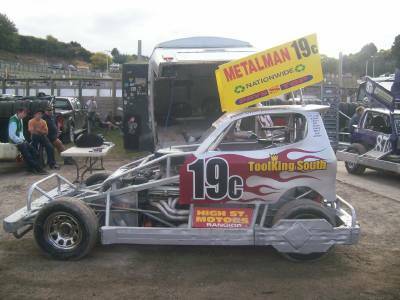 Aside from that maybe Boxing night or a big Modified meeting might be worth a look. Best spot to sit - The back straight grandstand provides a nice viewing spot. Either that or the seating in turns 3&4. 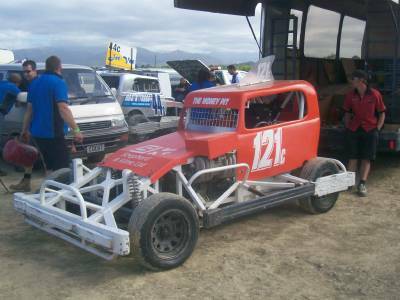 Classes run - Adult Ministocks, Stockcars, Superstocks, Streetstocks, Production Saloons, Saloons, Super Saloons, Modifieds. Uniqueness - Woodford Glen has been described as two drag strips with corners at each end. Whilst accurate that description gives the illusion of a symmetrical racetrack. The Glen is anything but. It's an egg like shape with a sweeping turn 1 & 2 followed by a tight turn 3 & 4. The track has enough width to ensure quality racing in the non-contact classes whilst not being so wide as to inhibit hitting in the contact classes.